Gratitude is like most desirable traits and qualities in that it is usually not enough to simply decide to be grateful – we must actively practice it to cement its place in our lives. There are many reasons why gratitude is such a desirable quality, aside from its inherent goodness. As we recently wrote in a piece on the benefits of gratitude, performing simple daily acts of gratitude can have a big impact on your health and happiness. These effects are particularly evident in the practice of gratitude journaling. It only takes a few minutes a day, but it can give you a lasting mood boost that can take you from feeling “okay” to feeling “great” on a more regular basis. If you’re wondering what a gratitude journal is or how you can jump on the journaling train, read ahead to learn everything you need to know about keeping a gratitude journal! What is the Difference Between a Gratitude Journal, Planner, Diary, and Notebook? A gratitude journal is, quite simply, a tool to keep track of the good things in life. No matter how difficult and defeating life can sometimes feel, there is always something to feel grateful for. While it can be tough to find something to be grateful about in a rough patch, it’s not just another “easy to say, but hard to do” action – it can actually help pull you out of your funk. Even more than that, regularly journaling about the good things in your life can help prepare and strengthen you to deal with the rough patches when they pop up. It’s extremely simple to start: simply write down (or type) the things you are grateful for on a daily basis. You can use a journal, diary, notebook, or just a piece of paper. If you’re committed to being green or just find it easier to do things digitally, you can use one of the many gratitude apps or even a simple Word document totally the good things! Once you have your journal or app ready, simply start noting the things you are grateful fo r.
Got a promotion? Journal it! Mastered a new yoga move? Journal it! Received good news about a potential health problem? You guessed it – journal it! 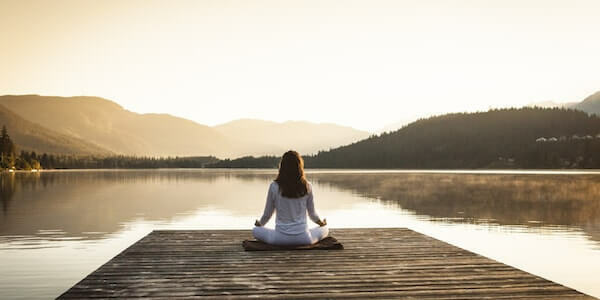 In case you’re wondering “What, exactly, will this practice do for me?” – read on to learn about the potential benefits of this simple practice. Gratitude journaling, like many gratitude practices, can lower your stress levels. It can help you feel calmer, especially at night. Journaling can give you a new perspective on what is important to you and what you truly appreciate in your life. By noting what you are grateful for, you can gain clarity on what you want to have more of in your life, and what you can do without. Gratitude journaling can help you find out and focus on what really matters to you. Keeping a gratitude journal helps you learn more about yourself and become more self-aware. Your gratitude journal is for your eyes only, so you can write anything you feel without worrying about judgment from others. Gratitude journaling can help you feel more balanced and less thrown off by daily stress. You may notice that a lot more small, good things are happening – or maybe you’ll notice the small, good things that were already happening! Your gratitude might act as a beacon to good things and good people, drawing even more positive things to be grateful for to you. It can make you feel accomplished, even if it’s a relatively small accomplishment. We all need a win, no matter how big or small, every now and then! Beware – it might just make you more giving and generous to others! But don’t worry, it isn’t always about money; paradoxically, there are things that actually grow and increase when we give them away, like compassion, empathy, and laughter! 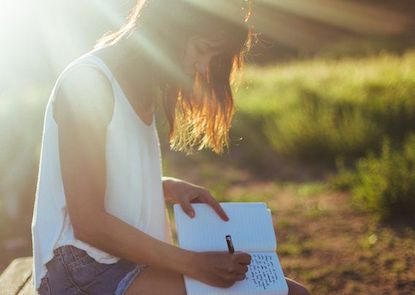 Gratitude journaling can provide a sense of context or interconnectedness. It can remind us how things in life are connected to one another, and guide us to one of those rare moments of epiphany in which we truly recognize that the word is so much bigger than us, yet we are grateful just to be a small part of it. (Pope, 2016). A brand new study of a three-month trial of gratitude journaling found that both reflective (finding things to be grateful for) and reflective-behavioral (finding things to be grateful for and expressing your gratitude) journaling have a significant, positive impact on well-being, affect, and depression (O’Connell, O’Shea, & Gallagher, 2017). Another brand new study showed that Turkish freshmen who completed a three-week gratitude journal experienced greater gratitude, better adjustment to university life, higher life satisfaction, and enhanced positive affect, compared to a control group of freshmen (Işık & Ergüner-Tekinalp, 2017). Gratitude journaling has even been shown to help divorced parents forgive their ex-spouse(s), an extremely important step towards positive co-parenting (Rye, Fleri, Moore, Worthington, Wade, Sandage, & Cook, 2012). Finally, researchers in Australia found evidence that gratitude journaling helped school leaders foster a balanced view of the good and bad things that happen at school, use more appreciative problem solving, find value in school-based relationships, and experience more positive emotion, ultimately making them better and happier leaders (Waters & Stokes, 2015). 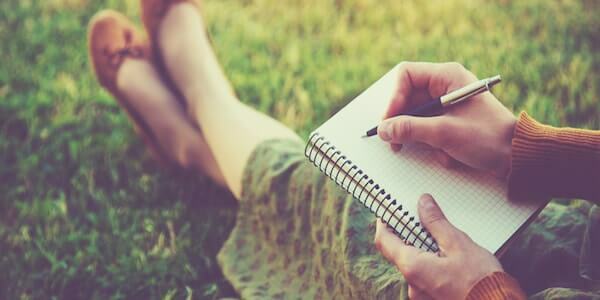 So, gratitude journaling seems like it has a lot of potential upsides and no noticeable downsides – but how does it differ from writing in any old diary or journal? Gratitude Journal: finding things to be grateful for. Planner: planning and organizing your schedule. Diary: recording the events of your day (both good and bad), reflecting on the day. Notebook: taking notes for work, class, or as a personal development tool. As you can see, gratitude journaling focuses on what you are grateful for. Filling out a planner focuses on what you need to do. A diary’s focus is on what happened in your day. Notebooks are for taking notes about present or future events to help you remember important points. Each item has a place and a purpose, but for the most part, they are not interchangeable. Organizing your week ahead with a planner may incidentally give you things to look forward to and be grateful for, but chances are there will be some events or responsibilities you are NOT so grateful for in your planner. Likewise, you will probably write down both positive and negative events from your day in a diary, meaning that the focus is not solely on what is good or helpful in your life. Finally, a notebook generally includes value-neutral notes and reminders, rather than lists of the good things in your life. The gratitude journal is unique in this respect – it is the only item in the range of similar notebooks, planners, and journals that are solely dedicated to noticing and appreciating the positive things in your life. To get the maximum out of your gratitude journaling practice, try to keep it this way. It’s not inherently bad to write down the negative things that happened or the challenges you faced during your day, but unless you are grateful for it, don’t write it down in your gratitude journal. Keeping your gratitude journal a place for only grateful thoughts will help you realize the benefits of a regular gratitude practice. Your gratitude journal or log is a personal endeavor that must be unique to you and your life. 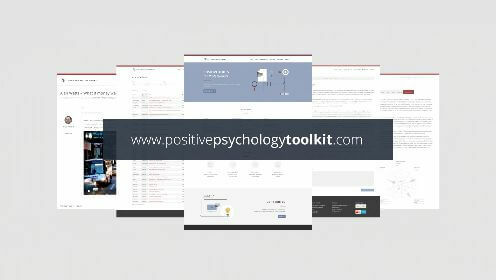 No one can tell you what makes the cut for you and your particular circumstances, but there are some suggestions that might help if you’re struggling in the beginning. Brianna Steinhilber of everup.com drafted a list of 20 gratitude prompts that can get you writing about all the things you have to be grateful for. If you’re stuck at the start, at least a few of these prompts should be able to kickstart your gratitude creativity! List five small ways that you can share your gratitude today. Write about a person in your life that you’re especially grateful for and why. What skills or abilities are you thankful to have? (You communicate well, you’re a good cook, you have an uncanny ability to dominate in Fantasy Football. Hey, it’s your journal). What is there about a challenge you’re experiencing right now that you can be thankful for? (This is a tough one, but you have learned something or grown from the hardship—how?). How is where you are in life today different than a year ago–and what positive changes are you thankful for? What activities and hobbies would you miss if you were unable to do them? List five body parts that you’re grateful for and why. (Those long legs help you reach items on the top shelf … don’t forget the little things). What about the city you live in are you grateful for? What are you taking for granted about your day to day that you can be thankful for? (Can’t think of any? Your alarm clock, your coffee machine, the paperboy who delivered your newspaper, your friendly neighbor who always says good morning … and that’s before you even leave the house). List 5 people in your life who are hard to get along with—and write down at least one quality for each that you are grateful for. What materialistic items are you most grateful for? Write about the music you’re thankful to be able to listen to and why. (We couldn’t make it five minutes on the treadmill without our beats). Who has done something this week to help you or make your life easier and how can you thank them? What foods or meals are you most thankful for? (Bacon, egg, and cheese on Monday morning, we’re looking at you). What elements of nature are you grateful for and why? (The beach, a starry sky or one speckled with fluffy clouds, the sunset…). What part of your morning routine are you most thankful for? (A big stretch before you get out of bed, that warm cup of coffee, a cuddle session with your pet…). Write a letter to someone who has positively impacted your life, however big or small. What is something you’re grateful to have learned this week? When was the last time you laughed uncontrollably—relive the memory. Maya Angelou calling to read me a new poem (Winfrey, “What Oprah Knows for Sure About Gratitude”). The sunrise this morning during your early run or while getting ready for the day. A quick text from a loved one simply checking in on you. The feeling of slipping into bed with freshly washed sheets. Having enough to feed yourself and put a roof over your head. Your stress ball, which is so good at calming you down during tense or important phone calls. The strawberries you had for lunch today, in the sweet spot between soft and firm. Your child’s smile as you tuck them into bed. Your Pandora or Spotify playlist that so often plays exactly the song you needed to hear. The groceries your significant other brought home from the store (even if they forgot something!). 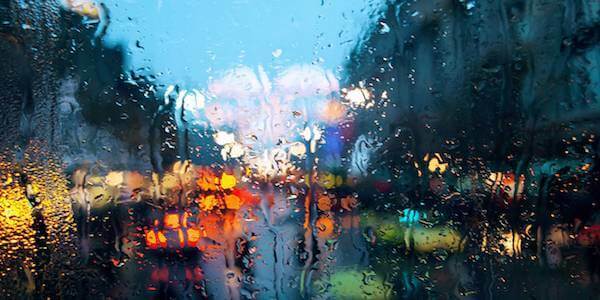 The sound of rain falling on your window at night, calming and relaxing you. While jumping right in and thinking about what you can write in your gratitude journal is an exciting part of the journey, it can get somewhat less exciting as time goes on. On those days when you no longer feel pumped to write down what you are grateful for, it’s good to be prepared. Plan to write in your gratitude journal every night for 15 minutes before bed. Set an alarm reminder on your phone or schedule it in your calendar. I’ve found that it is easier to write at night so that I can include things that I am grateful for from that day. Keep your gratitude journal by your nightstand so you will see it before going to sleep and remember to jot down what you are thankful for. Your journal may even become a symbol of gratitude so that when you just look at it, you will feel a sense of appreciation. Write as many things as you want in your gratitude journal. Writing down 5-10 things that you are grateful for each day is a good number to aim for. Your gratitude journal doesn’t have to be deep. What you are thankful for can be as simple as “family” or “the new book or movie I recently enjoyed” or “this morning’s breakfast.” What you are grateful for will differ from everyone else. Creating a gratitude journal has even become popular enough for its own “WikiHow” page! For step-by-step directions on how to keep a gratitude journal, you can visit the page here. Finally, I came upon a set of tips for making sure you are getting everything you can out of your gratitude journal practice. Keep these in mind when journaling, and there should be no obstacle in your way that can withstand you! Don’t set a minimum number of things to be grateful for every day – aiming for five things is fine, but accept that there will be some days when you need to gift yourself understanding and flexibility. Don’t wait for the “right time.” It’s fine to write something early in the day! Elaborate on why you are grateful for the things you write down. This can help you understand what is truly important to you and what you can cut out of your life. Focus on people rather than things. It’s okay to be thankful for your smartphone or your car, but the joy you receive from important relationships likely dwarfs your fondness for electronics! 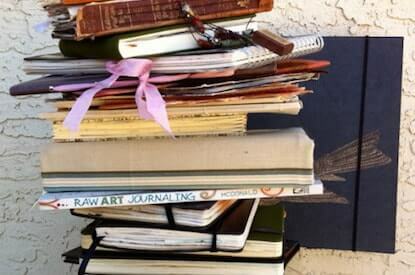 Don’t rush through the process – try to savor the act of journaling. Include surprises in your list. Surprises can provoke a greater emotional response than planned activities and can be excellent to look back on when you’re feeling stuck in the rut of routine. Keep the negative out of your journal. As we mentioned earlier, the focus on what is good sets the gratitude journal apart from other forms of journaling, note-taking, and diary-writing – try to keep it that way! Variety is the spice of life! Try to list new things as much as possible. Be creative – even if you don’t think you’re creative. Feel like adding a picture of your significant other instead of making them into a single line? Do it! Armed with these tips, examples, and guidelines, hopefully, you will find it easy to begin and maintain a gratitude journal! Now all you need to do is find the format that works for you. While many people who regularly practice gratitude journaling prefer to separate their gratitude by day or week, others like the final product when listing things they are grateful for in one big block for each month. This format is referred to as the gratitude “bullet” journal, since each thing you are grateful for is represented as one bullet point in the monthly block. Many who prefer bullet journals still keep these bullets organized by day, although they tend to use the day of the month rather than the day of the week (i.e., “15” rather than “Tuesday the 15th”). For an example of the gratitude bullet journal, see the pictures below. Many who extoll the benefits of the gratitude bullet journal recommend listing one thing, or at least one thing, you are grateful for each day, which may make it easier to start if you are struggling to come up with five items each day. Whether you choose a more traditional log of gratitude or a gratitude bullet journal, what’s important is that you commit to feeling grateful every day and stick with it! Decorating your journal or adding a personal touch or other stylistic flairs can help you stay motivated, so don’t be afraid to get creative. This journal is for you and only you, so do whatever works for you! A gratitude essay is a step further than gratitude journaling – it takes more time, more effort, and more pages (in soft or hard copy!). However, it can have a profound impact on your perspective and spur you to be more mindful and grateful of the good things in your life. A gratitude essay is a declaration, a reflection, and an acknowledgment of what you have to be grateful for and, indirectly, who you are. The occasion that you think back to and your reaction to this reflection can reveal a lot about who you are and what you value. For example, if you look back with deep gratitude on something your mother did for you, full to the brim with self-sacrificing love, you will likely find that you place immense value on family and close relationships with loved ones. If you reflect back on a helping hand from a teacher, you might be the sort of person who greatly values mentoring, compassion, or the “pay it forward” mentality. 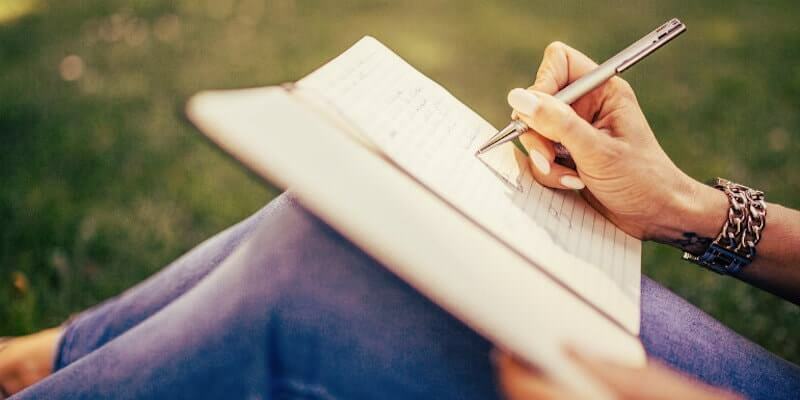 The point is that writing a gratitude essay is not just a great way to acknowledge and reflect on some of the most important or defining moments of gratitude in your life, it is also a way to learn about yourself. With that in mind, grab a pen or a keyboard, get to thinking about something you are grateful for, and prepare yourself to learn! 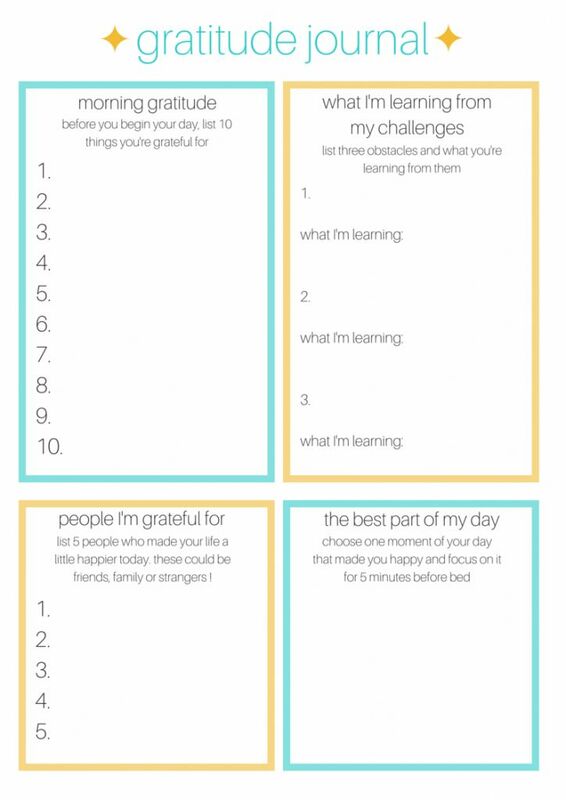 There are countless templates out there for you to base your gratitude journal on. To save you the time of looking through hundreds of templates, I narrowed it down to five different printable templates you can use for your own journal. Of course, if none of these fit your personal style, there are many others just a few clicks away. As always, find what works for you! This template is intended for those who would like to meld their gratitude practice with their religious or spiritual beliefs. If you are not looking for mentions of a specific religious figure or deity, continue on for more templates! For a bare-bones design that you can keep neat and uncluttered (or doodle in the margins – your choice! 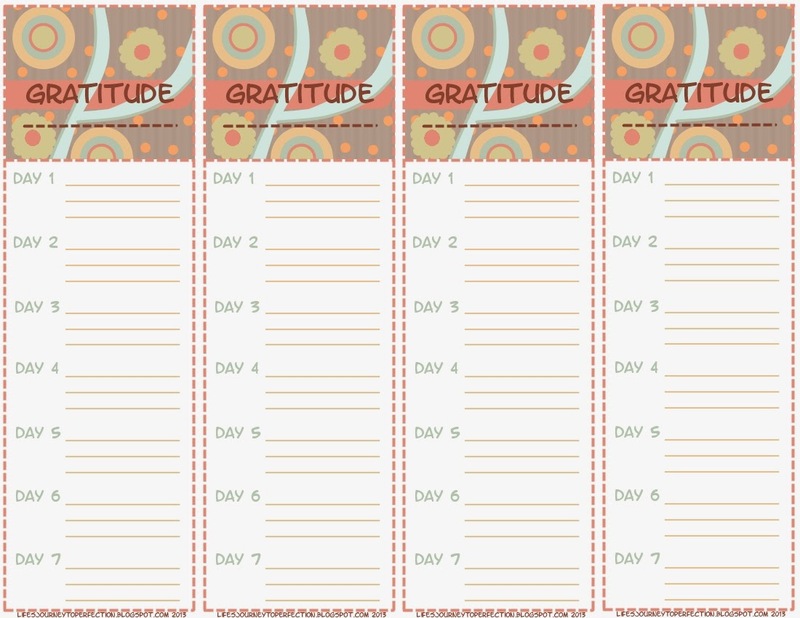 ), try the gratitude journal worksheet from therapistaid.com. This worksheet includes space to list five things you are grateful for each day of the week (Monday through Sunday), as well as a space at the end to note the highlights of your week. This is a different design than we have discussed so far, but it’s a fun one! It splits the sheet into four parts, with a part dedicated to morning gratitude (listing things you are grateful for right at the beginning of your day), one corner for writing down what you are learning from challenges in your life, one part to list the people you are most grateful for today, and the final piece dedicated to describing the best part of your day. This is a fun and unique way to make every day a gratitude-filled one! If you’re partial to the bullet points style, you may like this template. It includes four separate week columns with space for three things you are grateful for each day. One nice thing about this template is that you can start your week on whichever day works for you since the days are labeled “Day 1” through “Day 7” instead of Sunday through Monday. If you feel like supporting an independent business owner, there is a great template available for purchase on Etsy. The instant download is only $3.57 and includes space to note what you are grateful for each day of the week as well as space to explain why you are grateful for each item. They also have other versions that you may be partial to. Head on over to support a crafty individual and begin your gratitude journey at the same time! As with most problems or tasks in life, there is now an app for that! If you prefer the feel of a touchscreen over a pen in your hand, there are plenty of apps that support your daily gratitude practice. For example, the Gratitude Journal or Bliss Journal is an old standby in the area of gratitude journal apps. It is available for Android devices and takes up only a tiny sliver of your phone’s memory. Best of all, it’s free to install! 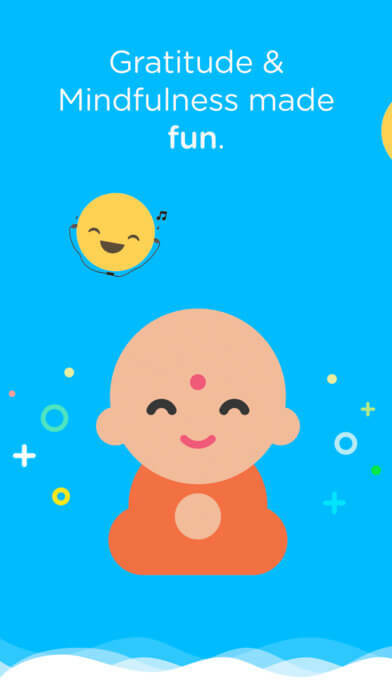 If you’re looking for an app that will guide you through your daily gratitude practice with helpful exercises and prompts, click here to learn more about or download this app. This Gratitude Journal app is available for download from iTunes, with versions that are compatible with the iPhone and iPad. This app will only set you back $2.99 and 45 MB of space, but it packs a powerful punch. It aims for a distraction-free and easy-to-use interface, with easy scrolling and syncing on all iOS devices. Bonus points – it also uses little heart symbols to track what you are grateful for each day! To see the hearts for yourself or download this app, click here. Mojo adds a few fun features to the typical gratitude journal app, including adding pictures, emojis, and organizing by the calendar. This fun and easy app can even import your entries from the Gratitude app to keep all of your gratitude synced! This app, marketed as “more than a journal”, can be found on iTunes. It seems that the app is currently struggling to find a home page for downloading, but you can learn more about it here. This gratitude journal app is available for iPhone and allows the user to incorporate photos, track their journaling by day, and organize with email, Facebook, Twitter, or Flickr calendar. It’s all in the name with this app, so give it a try if you plan on adding gratitude to your daily practice, 365 days a year! You can read more about it or download it for just $1.99 here. Another app for iPhone, iPad, and Mac users, Day One helps you keep a digital diary complete with pictures, maps, and notes about your day. This app can cut across devices, presenting you with the same look and format for each platform. While this app is intended for more of a diary or daily journal purpose, it is easy to use it for tracking your gratitude. You can find it for Mac at $9.99 or fore iPhone and iPad at $4.99 in the iTunes store. Click here to learn more about this app. 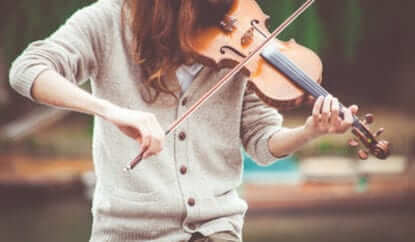 Starting up a new hobby or practice can be difficult, especially when it’s a practice that can dig up some pretty intense feelings. Don’t be alarmed if you find it to be a difficult, overwhelming, or highly emotional experience at first. Try to push through the discomfort and keep your commitment to daily gratitude, because greater peace and contentment lie on the other side! 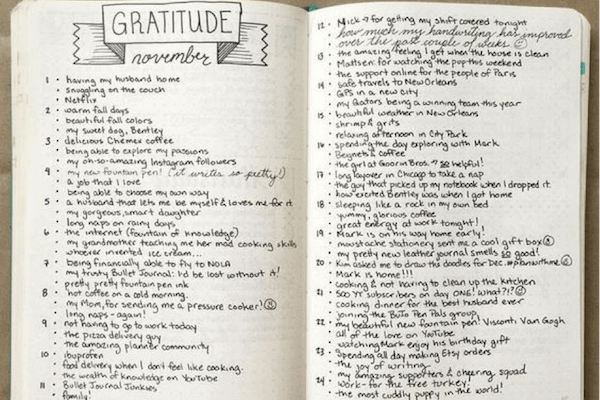 Have you ever practiced regular gratitude journaling? Are you currently keeping a gratitude journal? Do you have any tips or tricks to avoid some common distractions or difficulties? Let us know in the comments! Very informative article with so many wonderful ideas, how-to’s and resources. I have a beautiful journal and now I’m equipped to begin a positive spiritual journey. Thank you for sharing your knowledge. Starting today and it is all new to me. Got some ideas from just reading above. I am in no way spamming this..you can see it’s not a link for a commission or anything like that…just a direct link to the journal. It is a simple yet powerful tool that has improved my daughter’s outlook, attitude…really everything. I don’t have a website to put in the box below, so I will put the link to the journal, if that’s ok. Thanks again. Tank you for sharing:). Gratitude journaling has helped focus me on the positive influences in my life. I feel amazingly! !